I’ve had the sincere pleasure of meeting and getting to know Chef Craig King. As a personal chef to the stars, his knowledge, depth and worldwide reputation on organic gardening, and delicious, healthy food preparation is enjoyed and devoured by thousands. We are lucky to have him here preparing amazing menus, and of course seeing his garden of health literally grow here on the N. shore of Maui at the beautiful property known as Lumeria Maui. Here his known “farm-to-table” practice is enjoyed by many guests. Besides seeing him prepare a feast for a special few or a few hundred, his kind ways and natural talents shine through in every bite. I was overwhelmed with the first samplings one evening and to taste not only the freshness of the buffet he prepared, but the blend of flavors that exploded from the simplest herbs and green selections were over the top. Get to know Craig and watch these videos on how you too can eat for energy and I’m sure he will inspire you to not only grow your own fresh veggies but you’ll learn so much on how to sustain your own personal energy and vitality. 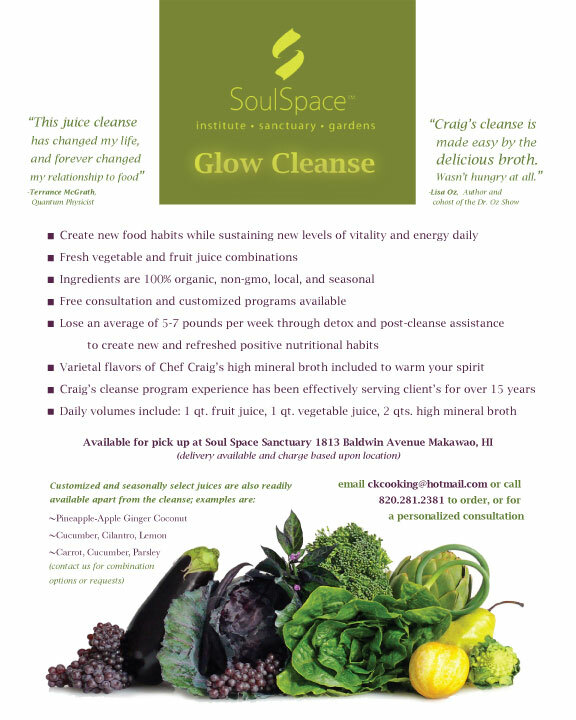 Also scroll down to watch his “Here We Glow” video of his special cleanse. 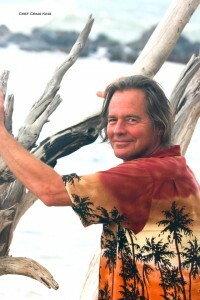 He is offering workshops on Maui on how you can do a “healthy” cleanse that leaves you feeling vibrant and strong. Contact and cleanse info below. You may contact Craig direct at 820.281.2381 or e: ckcooking@hotmail.com to enjoy his company and receive a private consultation. Welcome to Maui Craig! We’re all thrilled to have you as our neighbor and a part of our healthy ohana. Thanks a lot for sharing this with all people you really recognize what you are speaking about! Bookmarked. Kindly also talk over with my web site =). We could have a hyperlink trade arrangement between us!